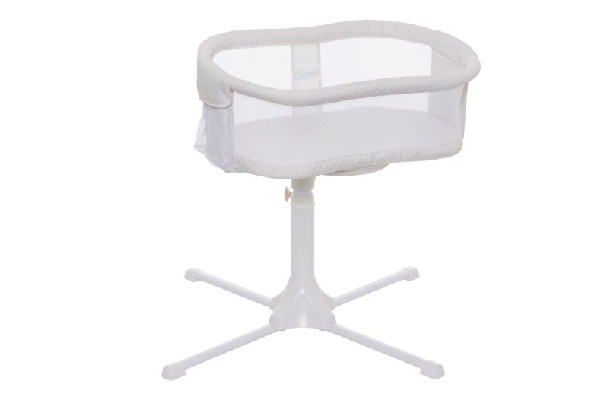 • Rotates and swivels 360 degrees to bring baby to you for close, safe sleep. Side wall lowers so tending to baby is easy. Wall can be locked in the upright position, if desired. 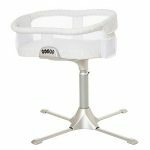 • Unlike other bassinets, its 360 degrees rotation makes getting in and out of bed hassle-free. 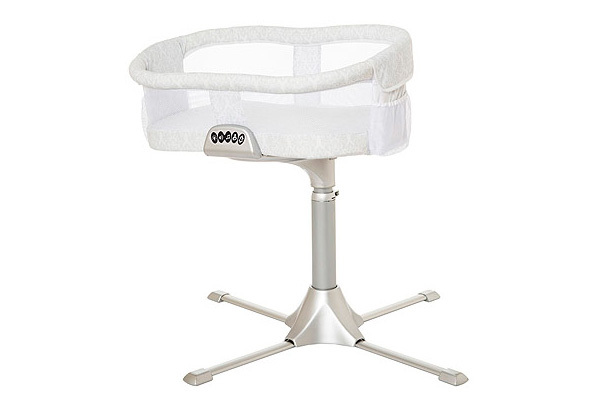 Ideal for nursing mothers and mothers recovering from C-sections. • Stable 4-point base adjusts to fit most beds from 22” to 34” tall. Base easily tucks under bed and requires only 32” clearance from wall, making it ideal for small spaces. • Polyurethane mattress pad is waterproof and contains no toxic flame retardants.Independently tested to meet or exceed all U.S. Consumer Products Safety Commission and Health Canada safety standards for bassinets. JPMA certified. • Recommended as one of the safest alternatives to bedsharing by the CJ Foundation for SIDS. Recommended for babies up to five months of age. Use should be discontinued when infant shows signs of pulling up, rolling over, pushing up to kneeling position.